At Da Damiano they cook Italian food with Sardinian accents. In this brown restaurant there are white napkins on the tables and on the wall you will notice a guitar and some pans. This place has been a family restaurant for many many years in Amsterdam and if you taste the wood fired pizza you will surely come back! 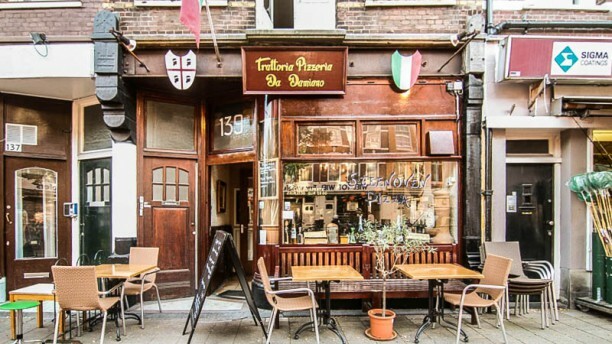 Will stay as one of my top choices for Italian places in Amsterdam. Unforgettable service from the iconic waiter. Thank you! Really nice casual restaurant in the neighborhood. Authentic Italian food at reasonable prices in a small restaurant with somewhat outdated interior where it can get noisy if full but that makes it great if you like these kind or restaurants.